This the first CD released by drøne, after two vinyl albums on Anna von Hausswolff’s label, Pomperipossa. 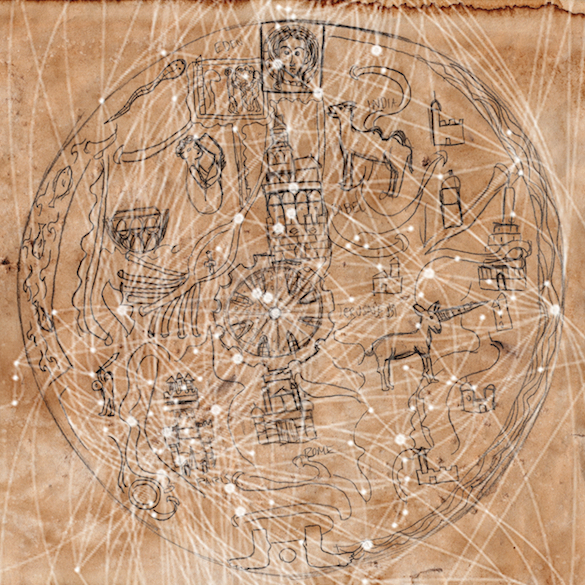 In a 5” jacket with artwork and font by nico, who also provided the hand-written text for the vinyl artwork for the 2015 and 2016 releases, “Mappa Mundi” traces and describes audio surrounding and occupying the planet earth. Call signs, IDs, audio sigils and signatures all combine to describe a polluted, confusing atmosphere which threatens to leave us powerless and bewildered. “Decipher the sounds and you win the game! First prize is, guess what? You get to take the audio poison! Congratulations! You’ve lost!”.